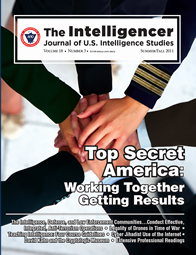 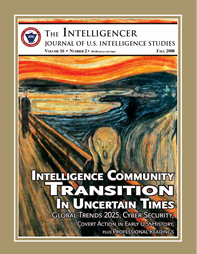 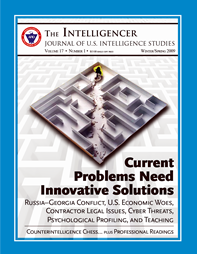 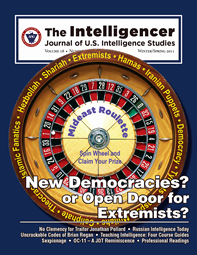 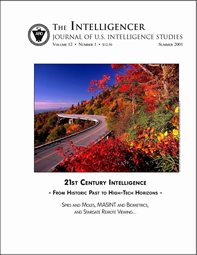 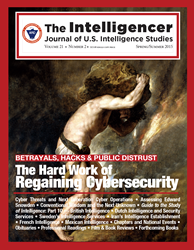 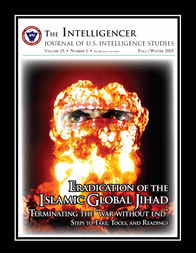 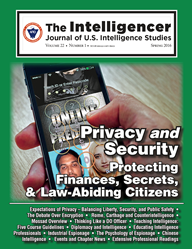 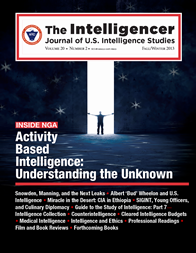 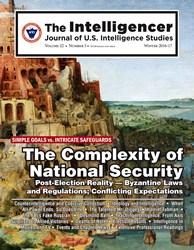 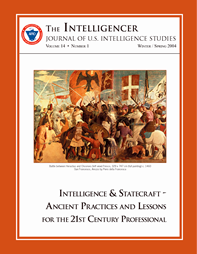 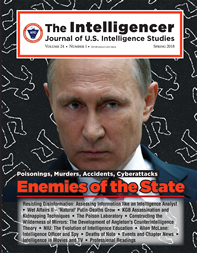 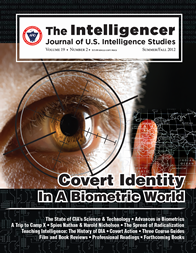 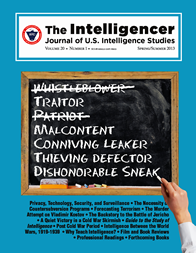 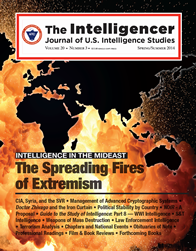 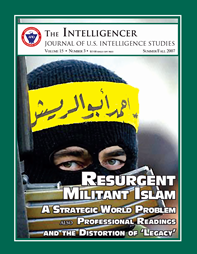 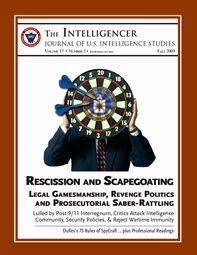 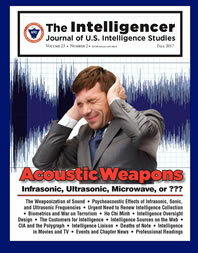 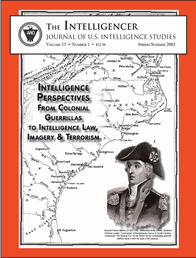 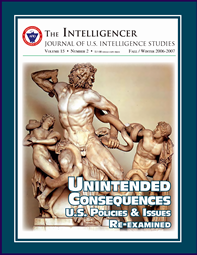 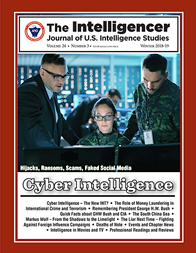 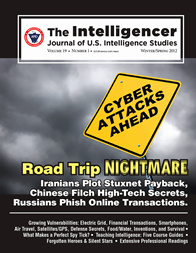 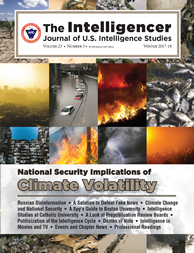 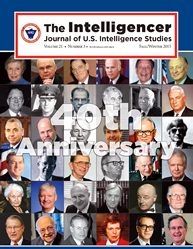 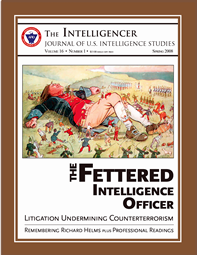 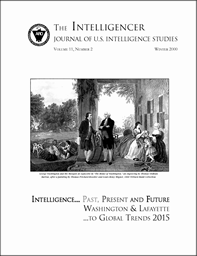 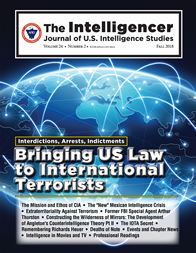 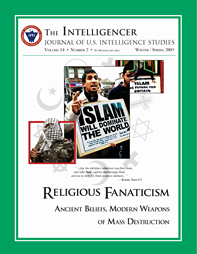 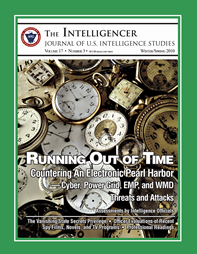 Intelligencer features papers, book announcements and reviews by intelligence professionals, and analyses of important intelligence topics. 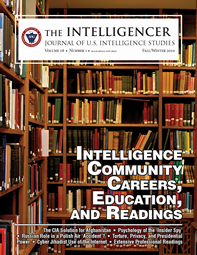 The Journal, which runs 128 pages per issue, appears three times a year, and reaches over 5,000 members and subscribers of which are many government agencies and libraries, universities, and Congress. 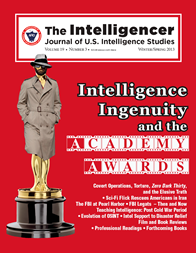 To join AFIO and receive all publications, or to only subscribe to publications, start HERE. 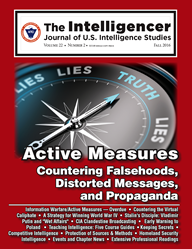 PERISCOPE, an earlier AFIO member publication, was discontinued in 2006 and its coverage of association members and events was added to Intelligencer journal which was expanded by 40 pages. 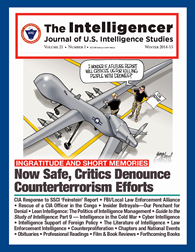 Intelligencer - is not available online or in digital form. 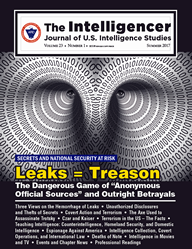 It is print, only. 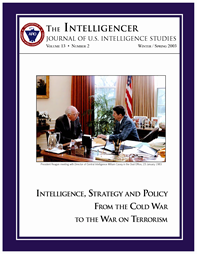 Cover images, L to R, are shown in descending order of date.